Partnering with a plastic injection molding company is a huge step for any business. But there are so many molding companies out there, it can be difficult to know where to start looking. You want to choose only the best plastic molding company that will offer reliable service at a competitive price. You also want a plastic injection molding company that will provide quality parts so your final product lives up to the expectations you had. When you choose a good injection molding company, turning any plastic product idea into a reality will be a goal you can easily achieve. But the opposite is also true, and if you choose the wrong company, you run the risk of losing valuable resources. Because there’s a good chance that the success of your business hinges on product creation (and therefore also plastic part creation), you’ll need to know what to look for in a plastic injection molding company. As a business owner or manager, you can’t simply assume that another business will be profitable to partner with. Unfortunately there are many businesses out there who simply won’t give you the value for money you deserve. Slow production: Having enough plastic parts produced is essential to keeping your production line flowing so you can sell your finished product to consumers, so when a molding company consistently fails to meet your quota, you’ll soon feel it in your pocket. Why pay for marketing on your product when your molding company can’t produce enough parts for you to meet the demand you’re creating? Faulty parts: Plastic injection molding is a delicate process that requires knowledge, education, skill and experience during part production. If your injection molding company doesn’t invest on getting the right people and tools to do the job properly, you might end up with parts that have weaknesses. If the problem goes unnoticed, this could lead to multiple refund claims from your customers after purchasing your product, all with the same defects and part failure. Bad business relationships: Bad business relationships just aren’t any fun. They can cause unnecessary stress on you and can harm your reputation. When you partner with a good injection molding company, plastic part production will be simple, and feel practically like it’s automated. With the right business working for you, you’ll be able to grow your business and produce more parts later if necessary. All and all, your plastic injection molding company will play a huge role in your business. You want to offer your customers only the best products, but in order to do so, you need to invest in assembling your final product only with the best plastic parts. Now that you know why choosing the right injection molding company is important, it’s time to look at what you can look at to choose a company for your business to partner with. Staff education, training and expertise: Even the best tools and materials can’t make up for a lack of expertise. Bad molding techniques could lead to problems, like faulty parts and weak areas in parts that look otherwise fine. Everything from temperature during molding to the polymers used and the plastic injection mold design play a part in the final part, so you want to work only with a company that understands how to successfully mold any plastic part. Quality of plastic injection molds: Just as the best tools can’t make up for it when a company doesn’t have experienced staff, the best staff also can’t produce good parts if a company uses bad molds, or doesn’t put effort into plastic injection mold maintenance. To get the results you want, you need to know what you’re working with when it comes to the molds themselves. A company that neglects maintenance for their injection molds will run molds till they break down. The problem with this is that badly maintained molds produce poor quality parts in the cycles leading up to the mold breakdown. This can once again have a negative influence on the quality of your final product. Target market of company: Different plastic injection molding companies serve different kinds of markets. So while some companies only want to work with very big businesses, others will be willing to take on smaller projects. If you don’t fit the target market of a company, there’s a good chance you won’t have a pleasant experience working with them, even if they are a good company. A molding company that’s too small might not be able to produce parts at a rate that suits your needs, whereas a molding company that targets clients bigger than your business might constantly push back your orders to handle bigger orders first. There aren’t any shortcuts when choosing your injection molding company. You can’t simply choose the cheapest one and expect to get good parts, but choosing the most expensive one might also be unnecessary for your business right now. 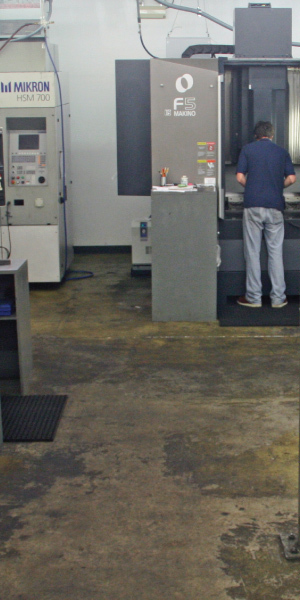 At Quality Mold Shop, we work to design, manufacture and maintain injection molds that won’t let you down. We can help in keeping your molds in good condition once you choose an injection molding company. Ask your plastic injection molding company if you can choose your own injection mold provider and maintenance business if you’re interested in working with us to get a premium American made injection mold for your product creation.